BEIJING - A total of 34 cities on the Chinese mainland had rail-based transit systems in operation by the end of last year, the China Association of Metros said Tuesday. 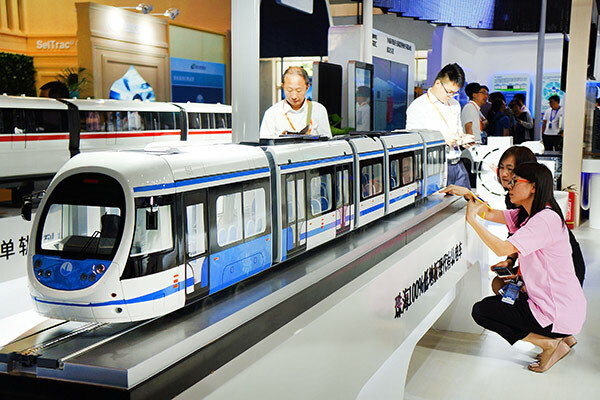 A total of 165 urban rail transit lines in these cities (excluding Hong Kong, Macao and Taiwan) reached a combined length of 5,033 km by the end of 2017, according to the association. In Beijing, the length of urban rail transit has increased from 200 km in 2008 to more than 600 km last year. Its 22 lines can carry over 10 million passengers each day, which has greatly eased the traffic pressure on Beijing, home to more than 20 million residents. Li Chengxin, deputy secretary general with the association, said that about 6,246 km of lines were under construction last year. Urban rail transit is an all-encompassing term for local rail systems, such as metros, monorail and trams.